With more bicyclists on the District’s streets, the D.C. Council should review the rules governing their behavior. The prohibition of bicycles on sidewalks should be extended from the downtown core to busy areas such as Georgetown, Dupont Circle, Cleveland Park and Glover Park. Sidewalks are supposed to be safe for pedestrians, but bicyclists are acting as if they have the right of way. The Metropolitan Police Department should enforce the law against bikes running red lights and stop signs. If bicyclists obeyed basic rules, they might find less aggressive driving by motorists. Bicyclists also should not ride in the wrong direction on one-way streets unless there is a designated bike lane. Bicyclists should make sure drivers can see them, especially after dark. In any collision with a motor vehicle, right or wrong, the bicyclist is most likely to come out second-best. Maybe Capital Bikeshare could remind its customers of proper bicycle behavior and courtesy. If that behavior doesn’t improve, perhaps we will head in the direction of countries where bicyclists are required to be licensed. It's disappointing that the Post would publish this. Although it is the opinion of a letter writer, it perpetuates misconceptions and does little if anything to advance the needs of anyone: driver, cyclist or pedestrian. First, why are cyclists on the sidewalk in the first place? Because they like scaring little old ladies walking there? No. They ride on the sidewalk, because they do not feel safe and comfortable riding in the street. If Mr. Browning would like the cyclists to get off the sidewalk, he should advocate for better bicycle facilities. Cyclists rarely if ever bike on the sidewalk along 15th St. NW, because they have a safe, comfortable place to ride designed for them - the 15th St. cycletrack. Likewise, cyclists will not ride on the sidewalks in these other locations either, if provided with safe and comfortable options. If bicyclists obeyed basic rules, they might find less aggressive driving by motorists. Who is Mr. Browning referring to? Does he have insight into anyone else's driving behavior besides his own? How can he make this assertion? I might ask him if he would somehow alter his driving habits if he perceived all the cyclists behaving the way he would like. Does he currently drive aggressively around cyclists on purpose? If not, then who does he claim does, and how does he know they will change their behavior? Or is he just making this up? If that behavior doesn’t improve, perhaps we will head in the direction of countries where bicyclists are required to be licensed. Like where? I just spent 10 minutes on Google and could not find a single example. If Mr. Browning knows of a place that has bicycle licensing that results in greater safety for all road users, I'd love to hear about it. Now starting our 7th year, Green Business Roundtable invites all interested in the intersection of business and sustainability to join us for networking, discussion and insight. For over 15 years, Marty has worked at the interface of climate science, sustainability and business action, building bipartisan partnerships with industry, governments and nonprofit groups to create practical solutions to the climate crisis. He brings a broad perspective to the issues having previously served at USEPA, the White House, Congress and several think tanks and environmental organizations. Major breakthroughs in corporate climate action are unfolding as climate science and corporate profit come together in ‘The 3% Solution’ and major US brand companies use their buying power to drive renewable energy into the mainstream. Thank you to SEIA for hosting this month's Roundtable. I'm an active participant in the BikeArlington Forum, an on-line bulletin board/information-sharing resource. There are tons of great discussions on the forum. One started just the other day, titled "Evolution of a Cyclist." One of the participants made the comment about how watching some cyclists riding in the rain or on a busy road seemed crazy. I responded, "And a few years from now, those guys will be you!" Regular registrations now closed. Please register as Walk-in. 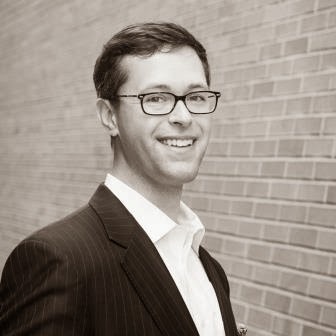 Speaker: Timothy Juliani is Director of Corporate Engagement at the Center for Climate and Energy Solutions (C2ES) (formerly the Pew Center on Global Climate Change). He directs the multi-sectoral, invitation-only C2ES Business Environmental Leadership Council (BELC). With combined revenue of $2 trillion and 3.1 million employees, the BELC is the largest U.S.-based group of companies devoted to climate- and energy-related policies and solutions. Topic: Tim will discuss the Business Environmental Leadership Council and how businesses are profitably and ethically leading the way to solutions to the climate crisis. Why is simple so hard? New Washington Flyer Coach to Dulles schedule is not intuitive. Silver Line service started up this last weekend, and with it new Washington Flyer coach service to Dulles airport. The new service runs from the Wiehle Avenue station direct to Dulles and back. Fare is $5 each way. (Previous service was from West Falls Church and cost $10 each way). The new service is more frequent, too. Here's a link to the schedule. For weekdays buses run every 15 minutes from 6am to 9am; every 20 minutes until 3pm; every 15 minutes until 7pm, and then every 20 minutes until 10:40. This schedule is relatively easy to remember without needing to carry it with you, because the service coincides with the top of the hour. I.e. 6:00, 6:15, 6:30, etc.. However, the weekend schedule is not intuitive. Buses run every 20 minutes all day from 7:45am to 10:45 pm. But instead of running on the intuitive and easy to remember :00, :20, :40, they run on the non-intuitive :05, :25, :45. What is the point of making the schedule difficult to remember for riders when it would have been so very simple to just start and end the service on weekends 5 minutes earlier? I don't get it. Once again, we look forward to a dynamic and exciting discussion at the intersection of business and our environment. Hope to see you there. (Thanks to the "Do it for DC" Challenge for partnering on these events. "Every dollar you save, DC gets a little greener"
Our roundtable will be a discussion about how to set up, launch and grow green community hubs around the region. These hubs incubate green businesses, educate the community on sustainability issues and facilitate the implementation of green solutions. 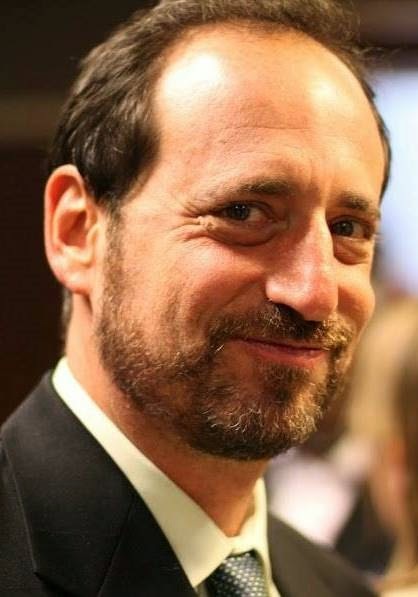 Based on the Livability Project Framework and the success of Bethesda Green, Dave Feldman will share lessons learned in leadership, entrepreneurship, sustainability and organizational development and introduce ways to jump-start long-lasting sustainability initiatives in your community. Dave Feldman is co-founder/partner of the Livability Project, a mission-based professional services firm launched in 2006. Dave currently speaks on a variety of topics including sustainable communities, incubation, green community hubs and leadership skills. Dave is perhaps best known for his groundbreaking work as founding director of Bethesda Green, a nationally recognized 'best practice' model for how to create sustainable communities. Bethesda Green, a collaboration of business, government and citizens working together to promote sustainable living practices has a center that incubates green businesses, educates the community about sustainability and facilitates the implementation of green solutions in the region. In 2009, Dave was named one of “The 25 CEOs You Need to Know” by The Gazette of Politics and Business and as “Innovator of the Year” by The Daily Record. In 2010, the Montgomery County Council named him one of the “40 Environmentalists in 40 Years”. From 2002-07, Dave was Consul, Trade & Investment at the British Embassy and helped foster economic development between the U.S. and U.K.
Blaine Collison - Managing Director - Network Services at Altenex. Formerly Director of EPA's Green Power Partnership. Blaine Collison is the Managing Director for Network Services at Altenex. Altenex helps commercial and institutional energy users source voluntary renewable energy. Blaine's role includes managing new customer origination and identifying new services for Altenex. Blaine was previously the director for the EPA's Green Power Partnership, a nationally recognized network of over 1500 non-utility energy buyers committed to renewable energy. TOPIC: Increasing the U. S. renewable energy portfolio: Lessons learned and trends to watch. Blaine brings more than a decade of insider knowledge of the U. S. renewable energy industry: trends, financing, players and more. Join us for what is sure to be a dynamic and interesting discussion. It is widely recognized that while progress is being made, we are far from the sustainable future envisioned by the Brundtland Commission over 20 years ago. As a launching pad for discussion, JP Leous will present the Extended Leadership framework drawn from decades of experience SustainAbility has gained working with some of the world's largest and most important companies. He'll share insights into the promise and challenges companies will face in the years ahead to help take corporate sustainability to the next, required level. Innovative thinker, JP Leous, drives client-focused solutions on brand positioning and performance through innovative projects, corporate sustainability strategy, materiality and trends analysis, business case development and external stakeholder engagement. Prior to joining SustainAbility JP worked on and off Capitol Hill with civil society organizations focused on a number of climate-related legislative campaigns. JP also serves as a Lecturer at The George Washington University’s School of Public Health and Health Services. A Returned Peace Corps Volunteer, JP received his graduate degree from Columbia University’s School of International and Public Affairs, where he co-founded the school’s first prize for student-led sustainability-focused projects—The Award for Progressive Sustainability. Arlington County, VA has been improving its bicycling infrastructure along the Rosslyn-Ballston corridor. With the addition of the buffered bike lanes on Clarendon Blvd. through Clarendon, there is now an almost continuous corridor from Ballston to Courthouse. There is, however, a two-block gap that is difficult for cyclists to navigate that--if improved--could make a significant difference in the ease of use for cyclists along the corridor. It would close the one remaining gap connecting these important activity centers. With some minor infrastructure changes, this gap could be closed, and the corridor could be completed. Here's a diagram of suggested improvements for eastbound cyclists at the intersection of Fairfax and 10th St. N.
Forest products for industrial and personal consumption are some of the most freely traded commodities in today's global marketplace. But the trade in these products have also been implicated in the increasingly historic loss of forest cover worldwide, contributing 15-20 % of the CO2 emissions attributed to the global climate change challenge. Bruce will speak to his efforts during his 20 year tenure with the World Wildlife Fund and the Forest Stewardship Council to promote sustainable supply chains via public-private partnerships to promote environmentally, socially and economically sound solutions to this challenge. Mr. Cabarle is the former leader of WWF's forest and climate initiative and Global Forest & Trade Network, co-founding/chairman of the board of the Forest Stewardship Council, and now an independent consultant on issues of forest management, supply chains, governance and climate change. 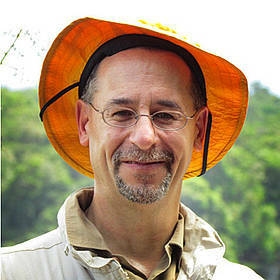 He has authored and co-authored several books about global forest management. Bruce earned his Masters at the highly regarded Yale School of Forestry and Environmental Management. The Green Business Roundable(TM) organizes and hosts events at the intersection of business and environment. All are welcome. Please feel free to forward information about GBR events to any colleagues or friends who may be interested.